For anyone who�s ever had the desire to look at the world through the eyes of our indigenous ancestors, here is a unique opportunity. Traveling between the Worlds is a treasure trove of insight and exploration into the ancient spiritual wisdom of such diverse cultures as Ireland, Africa, and the Americas. The keeper of this wisdom is the shaman--a man or woman who can, at will, enter into altered states of consciousness in order to acquire extrasensory knowledge and healing power. 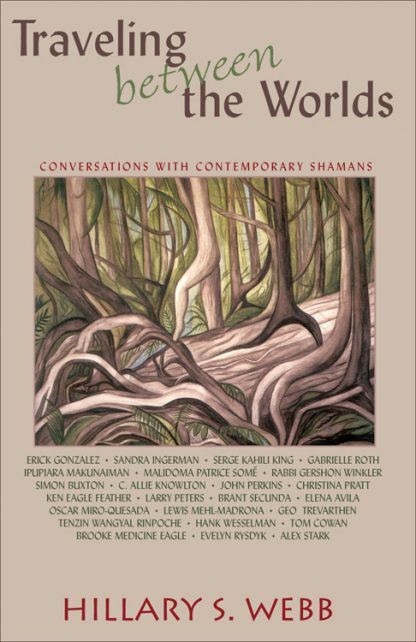 In this important book, Hillary S. Webb invites us to eavesdrop on her conversations with some of today�s most influential teachers and writers of shamanism. While the conversations cover a variety of topics pertaining to the shaman�s path and practice, this book explores how we in the modern world can use these ancient teachings to help ourselves, each other, and the world around us. Renowned author and environmentalist John Perkins, who brings corporate executives to the Amazon to teach them the value of merging business and eco-philosophy. Rabbi Gershon Winkler, who uses the beliefs and techniques of the Jewish shamanic tradition to bring Israelis and Palestinians together on common, and more peaceful, ground--their indigenous roots. �Renegade� shaman Ken Eagle Feather of the Toltec tradition, who explains how modern technology can help us evolve into the next level of perception. Peruvian shaman Oscar Miro-Quesada, whose ideas on life and death may alter your view of reality itself. Hillary S. Webb is a journalist and poet as well as the author of Exploring Shamanism. A native of Salem, Massachusetts, site of the infamous witch trials, she currently resides in southern Maine.